Exsa offers a comprehensive technical production extension service to all the Exsa growers. The team provide advice and training on all production issues, from pruning right through the growth cycle until the grapes are harvested. This includes planting methods as well as the crop preparation for various grape varieties. The service also evaluates the growth of the vineyards and makes recommendations on fertigation. 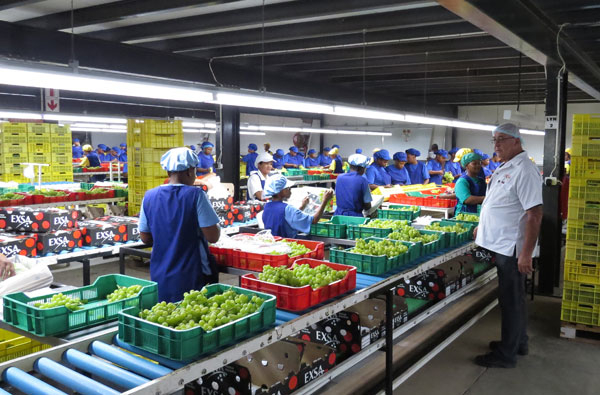 The service is available to all the Exsa growers throughout and despite the vast distances between production areas, the technical manager visits each of the growers on their farms as growers request assistance. During the harvest season the technical service includes quality control in packhouses during the packing process. 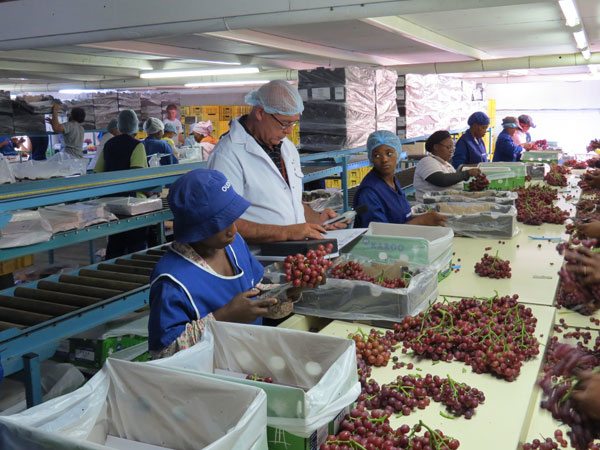 This also entails managing the packing programmes for various markets as well as deciding on the market destinations for the crops from selected vineyard blocks. Packing material is a very important component of successful grape exports as a good quality product is required to transport and protect the fruit from the grower to the consumer. It also represents a significant percentage of the production input costs. 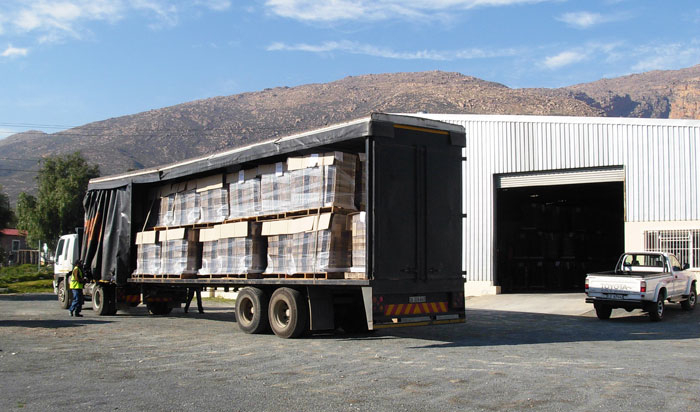 Exsa has established and provides a comprehensive packing material service to the Exsa growers. This includes establishing the quantity of each type of packaging is required by the individual growers, ordering it on their behalf and co-ordinating the delivery of the cartons. The importance of upholding Food Safety regulations for Exsa’s discerning customers is also a crucial part of quality maintenance. To ensure the maintenance of these standards Exsa has a dedicated risk co-ordination service encompassing accreditation compliance and food safety to the range of services offered to growers within the Exsa Group.